Friends… – by clinock. 2.5″ x 3.5″. 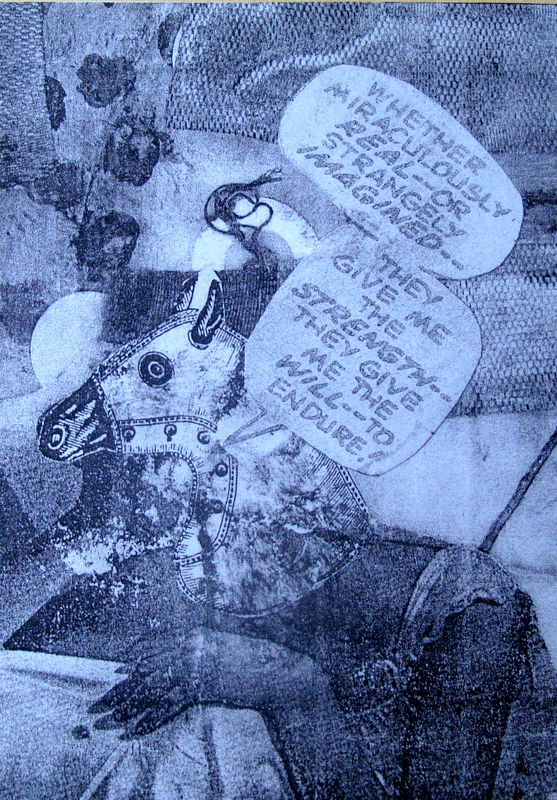 collage with photocopies and text; on card. It would be perfectly fine with me if there was no other music available except that of the Beatles. How did you achieve the texture mesh effect ?